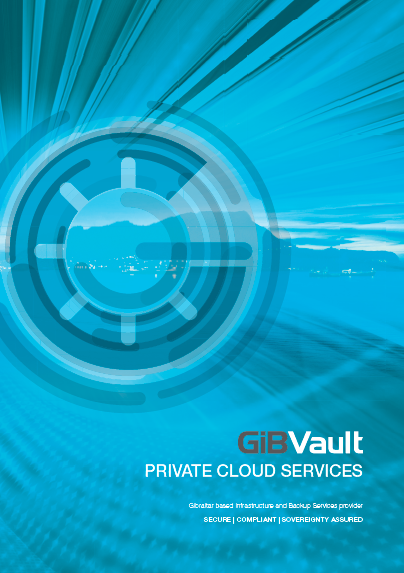 GiBVault capture your data using private links, we manage the complete backup process end-to-end ensuring reliability and accuracy. Our Backup and archive service solution is fully managed and scalable, using robust and proven technology hosted in North Gibraltar. Using either co-located or private cloud implementations ensures the highest levels of security, compliance, and privacy. Our virtual compute platforms utilise fully encrypted hosts that are housed in private data suites within Gibraltar. Our Cloud Object Storage service is 100% compatible with Amazon S3 and is hosted in either Gibraltar, or the UK. Attractive to businesses that are looking for an easy to use Cloud platform that offers flexibility and a simple payment model. Your data will be secure and fully encrypted in Gibraltar. For organisations that are looking for an email service that is fully hosted in Gibraltar and managed for them, our Email as a Service solution is managed by a team of skilled professionals who will deliver a reliable, robust and secure service 24/7. All data is stored securely and held within the Gibraltar territory ensuring continued compliance and risk mitigation. We offer a Flexible operational expense (OpEx) payment model whereby you only pay for what you consume each month. Our standard model includes bandwidth as we recognise the challenges of connectivity within Gibraltar. We have competitive agreements with local companies to provide point to point bandwidth to suit your individual needs. We understand that the loss of access to data can impact the bottom line of any business very quickly, that is why we ensure we align with your businesses SLAs, RTOs and RPOs.